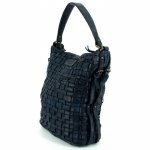 Gianni Conti 4503354 women's shopper bag. 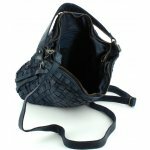 It features a soft weaved leather upper with two decorative buckles along the sides and a Gianni Conti branded badge. 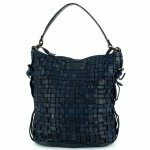 Inside, it has a zip pocket and two slip pockets that allow you to organise your belongings efficiently. Meanwhile, the zip-top fastening helps to keep your things secure and in place. A versatile design as it has a removable and adjustable shoulder strap, so it can be worn over the shoulder and across the body. 27x 30 x 13cm approx.